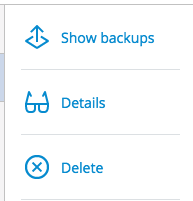 Once backups have started running on your devices, you can manage backups in order to view recovery points, review backup details, and delete multiple backups. This article will outline how to manage backups on the ServerMania Cloud Backup service, powered by Acronis. Step 1: Login to the cloud backup portal. Visit our cloud backup portal and login using the credentials supplied to you. 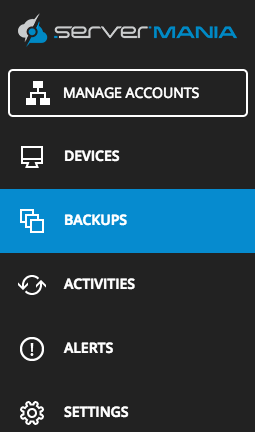 The top of the page allows you to select the device if you have multiple backup agents. The right side of the page allows you to view backups, the details of the backup plan, and to delete the backup files.